WACO – Cultural Arts of Waco announces the vendor and speaker line up for Art on Elm’s tea festival. Amanda Vermillion and Kay Bell will be featured at Elm Tea Fest on April 7. Event features include tea vendors, tea tastings, guest speakers, a tea market and a ticketed traditional afternoon tea. The tea market will showcase tea merchants from the Waco area and beyond and feature vendors from across the state and country. 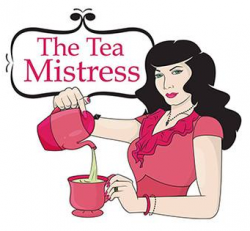 Amanda Vermillion and her company The Tea Mistress from Houston, Texas have been invited to speak at Elm Tea Fest. Vermillion’s lifelong passion and interest in tea led her to start her own company in 2013. She is the Director of Lone Star Houston Tea Festival. Kay Bell, the founder and owner of Cadae Tea in Waco, Texas, will also speak at Elm Tea Fest. She began her company as a single table at a farmer’s market in 2010. Her products are now carried in various stores. Bell is passionate about tea, and has been a featured speaker at the Houston Tea Festival. The vendors and speakers will help fulfill the mission to promote and expand the knowledge of tea and its culture. Participants will have the opportunity to learn about the history and culture of tea, while tasting various types. Contact Doreen@wacoartsfest.org or visit artonlem.org/elm-tea-fest/ for more information.